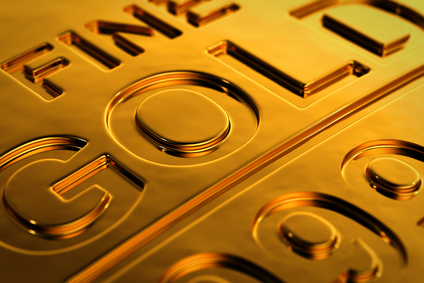 Is Gold’s Early 2014 Bull Market Over? When investors consider precious metals, words like “hedge” and “security” tend to come to mind. This is because precious metals (particularly gold) are known to be calm and steady investment sources when compared to stocks and other investments. Demand for gold especially is universal and constant, and the prices are determined on an international level, all of which means that abrupt changes are uncommon. 2013 was an exception, however, and the biggest one in about three decades. The price of gold fell 28% last year, shaking many investors’ faith and turning gold from one of the most reliable and understood sources of investment into a question mark. And sure enough, just to keep up the confusion, gold opened 2014 with a great deal of strength. It quickly regained its bullish ways through February before starting to even out a bit. The price of gold now sits at roughly $1,300/oz, as compared to the $1,200/oz mark it hovered at in late December and early January. So with gold’s dramatic leaps seemingly stabilizing to some extent, there are two questions that investors with interest in gold must ask: is the bull market for gold bullion over? Should you risk buying any of the precious metals? Online supplier and reference guide BullionVault has plenty of information on buying gold for those who believe the bull market will continue (or rather, reappear). However, one helpful tip for a careful investment might be to focus currently on physical gold bullion rather than ETFs or gold futures. It’s exceedingly unlikely that the price of gold bullion will fall dramatically below current levels, whereas an investment in gold futures is more of a gamble on upcoming trends, and therefore riskier. But before you decide whether or not you are interested in investing (let alone how you’re going to do it), we’ll turn back to the first question: is the bull market over? The only proper way to address this question would be to look at which factors contributed most significantly to the early 2014 bull market. For the most part, analysts seem to agree on two main factors: underperforming economies in the U.S. and China, and the political conflict between Russia and Ukraine. As mentioned, gold is often thought of as a hedge. When large economies perform poorly, or political conflict or natural disaster threaten world stability, gold prices tend to rise as investors look for a place to put their money that is not subject to changes and devaluation as a result of these issues. So naturally, the factors mentioned can be said to have played significant roles in the early 2014 bull market. The economic prospects in the U.S. and China have since improved at least moderately, which has likely played a role in the gold market weakening somewhat in the past month. However, some are predicting that the enduring issues between Russia and Ukraine could still feed an enduring bull market. International Business Times assesses the situation by stating that the escalating political crisis could “boost the metal’s safe-haven status.” Indeed, with the conflict in Ukraine showing no signs of abating, gold has had a strong past week, and it could well be that quarter two of 2014 will remain strong. At this point, however, a long-term gold investment certainly seems like a riskier proposition than usual, given that something as quick as a conflict resolution in Ukraine or a strong report on the U.S. or Chinese economy could send prices down. This entry was posted on Tuesday, April 29th, 2014 at 11:57 pm	and is filed under Gold. You can follow any responses to this entry through the RSS 2.0 feed. You can leave a response, or trackback from your own site.